These are Eiffel Towers Scissors or Ciseaux Tour Eiffel. What? I can’t help it that I’m cultured! And by cultured I mean, I know how to work Google Translate. Which is more than I can say for my mom! Man, I zinged her GOOD. Annnnnnnd now I’m grounded. 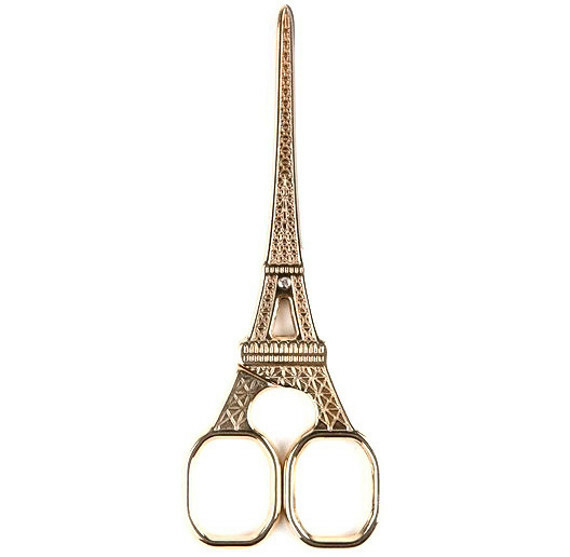 These scissors with a Parisian spin are definitely a cute, clever idea. But let’s be real here — you still can’t run with them, so it’s not much of a scissors-improvement in my book. Regardless, they’re definitely a cut above the rest. Get it? Scissors joke! Man, between the that and the fancy French talk I was spitting earlier… someone put me out of my misery?